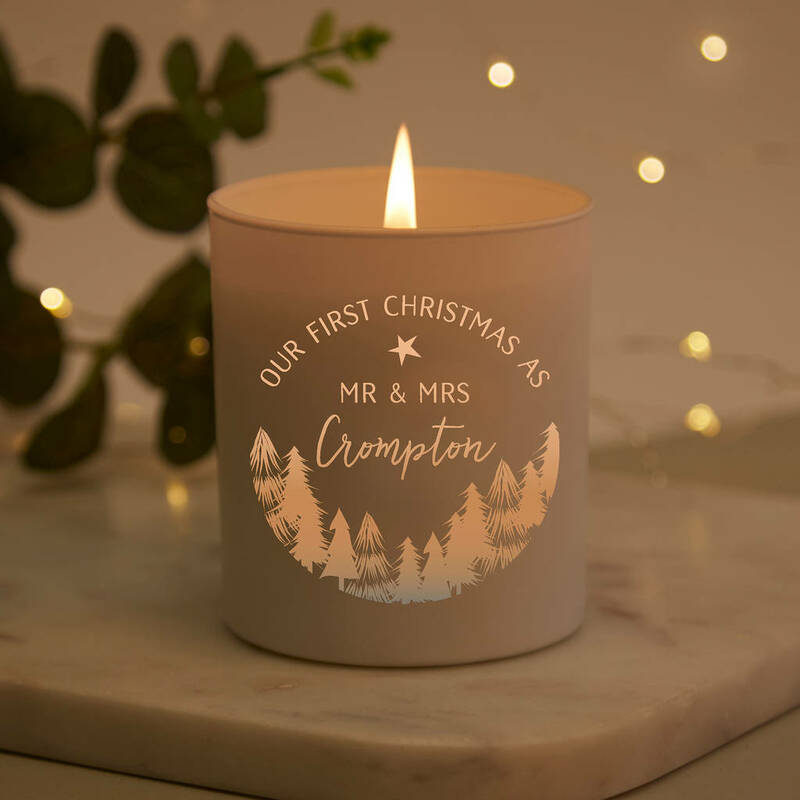 Our First Christmas Personalised Scented Candle – £32 A beautiful personalised candle featuring names of your choice, to celebrate their first Christmas as a married couple! Filled with a scented natural wax that burns for up to 40 hours (4 scents to choose from). The glass has a matt white finish whilst the engraved part is clear so that the candle light shines through the design for a unique finish. The candle is complete with a patterned dust protector and a luxury gold foil box, perfect for gifting. 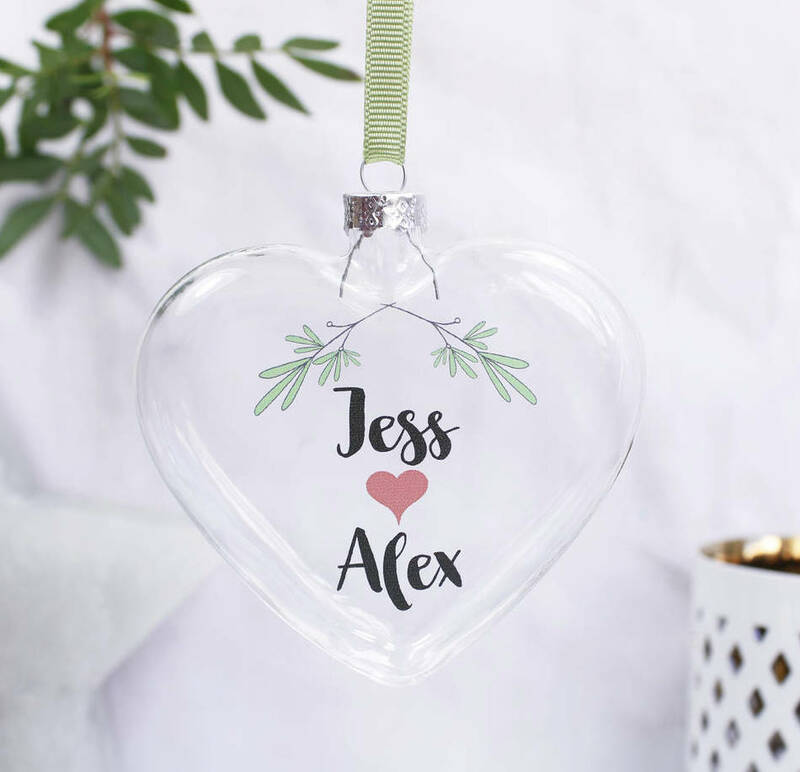 A lovely personalised heart bauble, the perfect little gift for a new couple this Christmas. It will make a lovely keepsake for years to come. A lovely idea if you just don’t know what to get them, this will make them smile! A fun and contemporary portrait, drawn digitally by hand making each one totally unique. Each picture is bespoke and drawn by hand based on your photos, capturing the individual couples’ personality and style. You are able to add a quote, the occasion or date to the bottom if you wish (e.g ‘Charlotte, Neil & Bambam’). 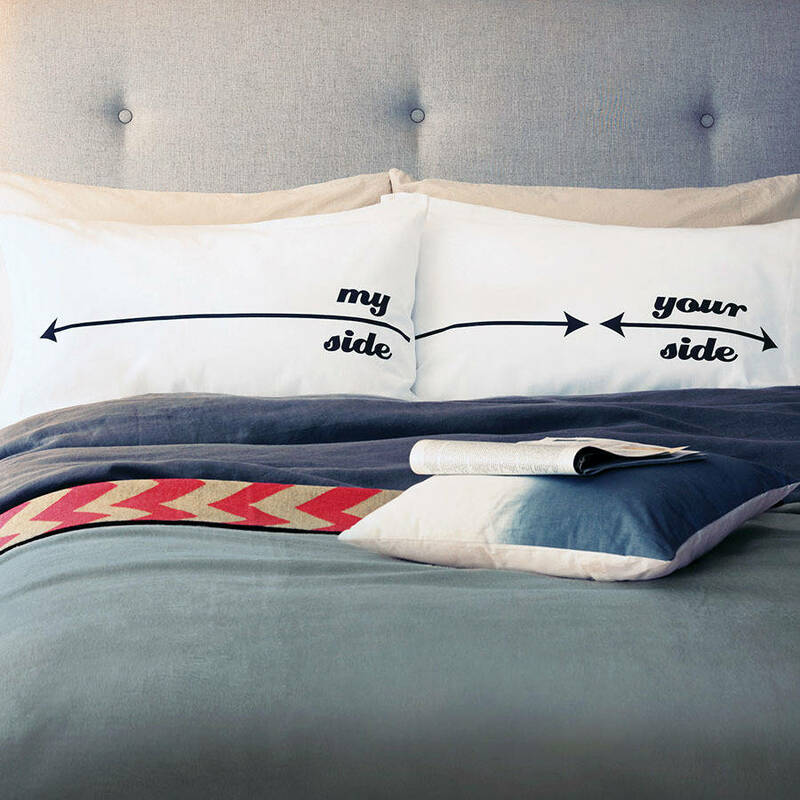 My Side Your Side Personalised Pillowcases – £30 My Side Your Side Personalised Pillowcases. For the beloved bed-hogger in your life. Black arrows run the length of the pillowcase – one taking up 75% of the space and the other reaching across the remaining 25%. 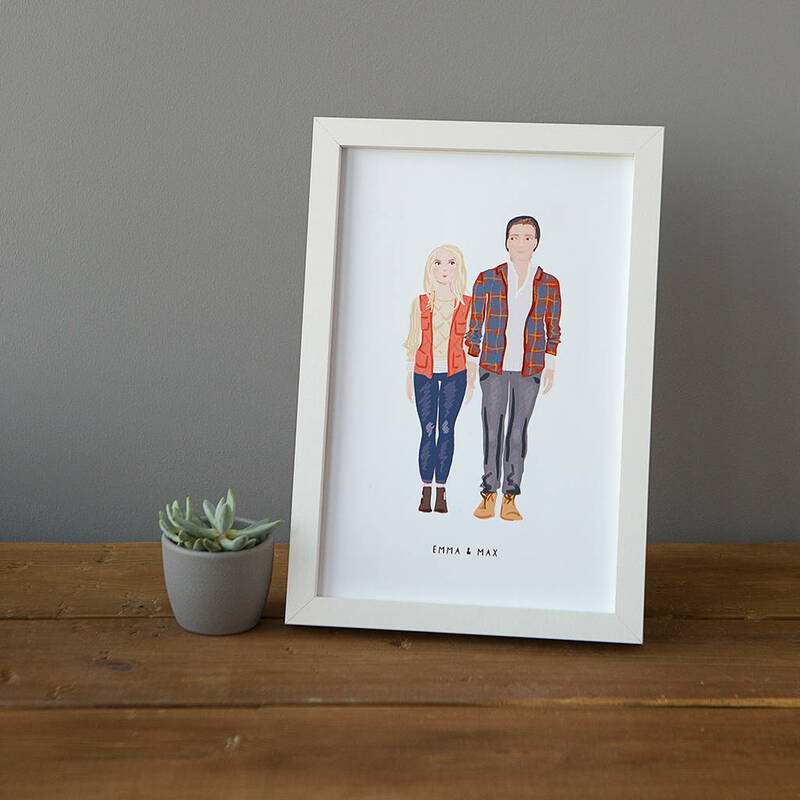 They offer a personalised version of this design printing the names of the couple. So for instance: ‘Alan’s side/ Helen’s side’. This service is an extra £10. 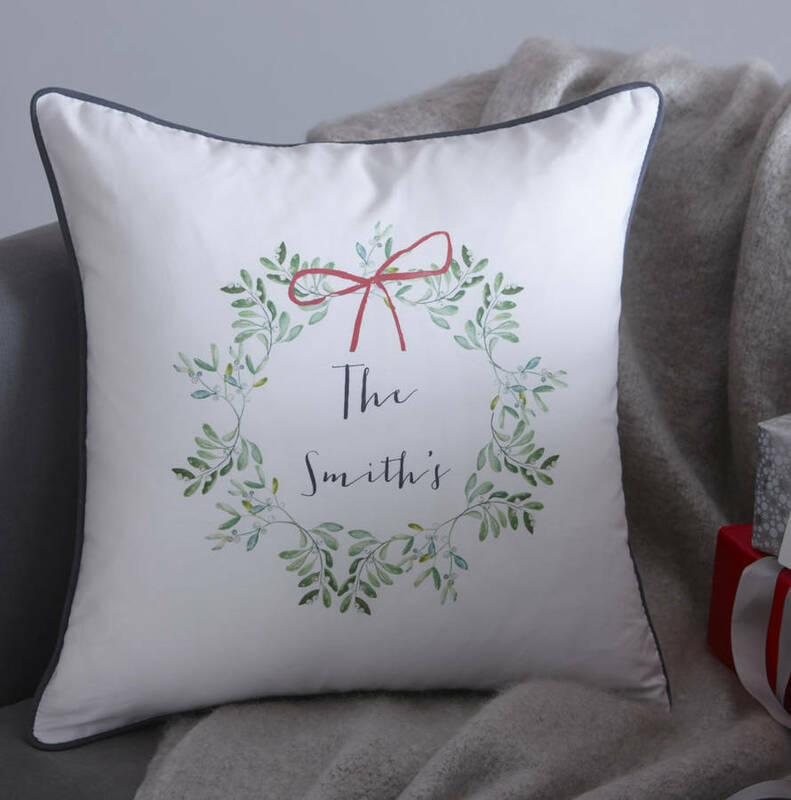 Mr & Mrs Personalised Mistletoe Christmas Cushion – £29.50 This personalised Christmas cushion makes an ideal present for newly weds. 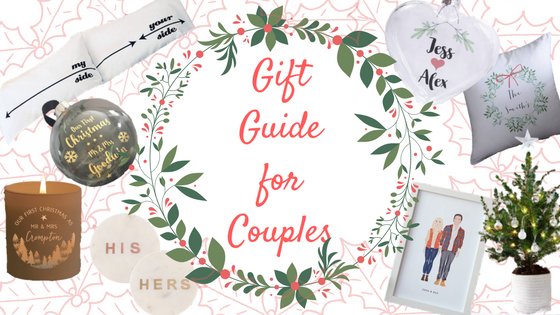 It makes a thoughtful gift for a first Christmas as a married couple with the couples names shown in a wreath of mistletoe. Printed on a fresh white 100% cotton base, the cushion is finished off beautifully with grey piping to really compliment the design. 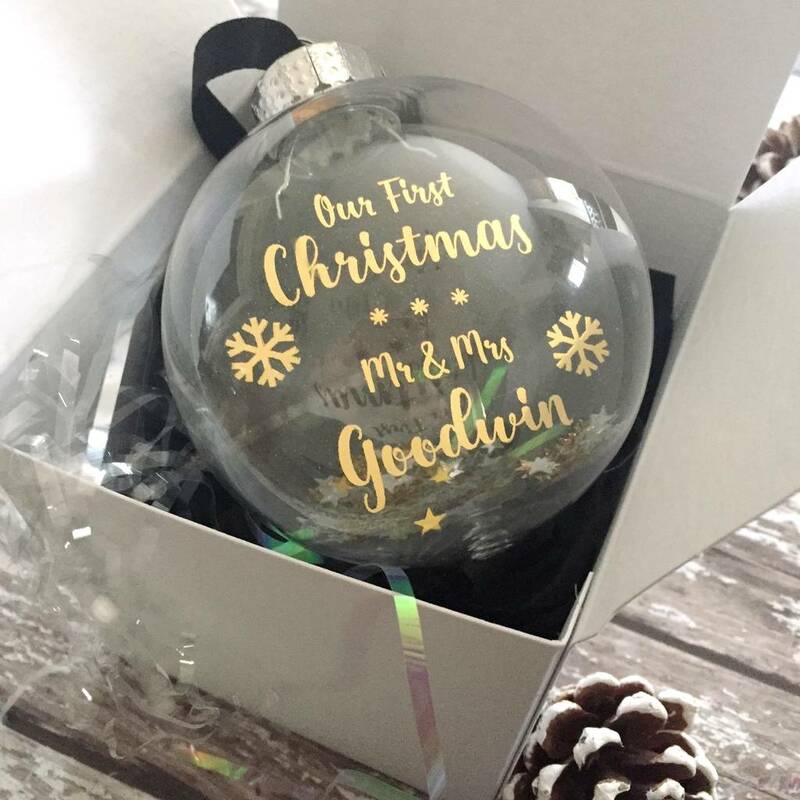 Our First Christmas Personalised Bauble – £15 This shatterproof personalised Christmas bauble makes a perfect gift for newlyweds or a couple spending their first Christmas together. With a clever floating image placed inside of the bauble, these stylish bounce friendly baubles make a great addition to any tree. Finished off with a black satin ribbon and wrapped in tissue for a safe journey. 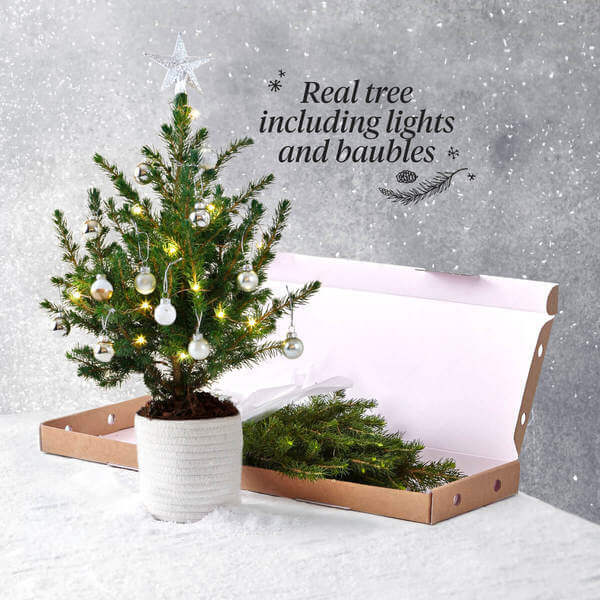 Bloom & Wild Tiny White Letterbox Christmas Tree £35 Give the gift of Christmas cheer with a tiny Christmas tree that is delivered through their letterbox. Complete with lights & decorations (see my full post on it here). The tree can be planted after the Christmas season to be enjoyed for years to come! His’n’Hers Marble Coasters £8 each Crafted from marble and brass and decorated with ‘his’ and ‘hers’. 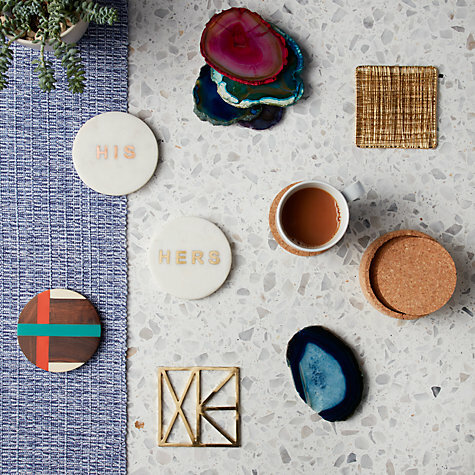 These charming coasters are perfect for placing anywhere within your home. There’s nothing like a personalised coaster as a gift for a loved one or yourself. Affiliate links used, view my full disclaimer HERE. Previous Post Sent with love, your tiny letterbox Christmas Tree.